A little-known study from 2010 illustrates why Facebook will be the political battleground of the future. Last week we learned that BuzzFeed has gained near-exclusive access to Facebook sentiment data from now until election day 2016. 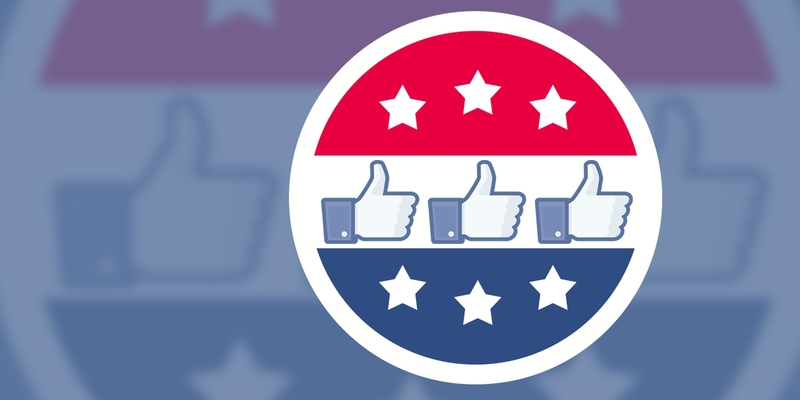 This data is important, according to Editor-in-Chief Ben Smith, because Facebook is quickly becoming a dominant force in U.S. politics, one that will surpass television in importance and become the battleground for targeted ads and direct-to-constituent messaging. “Facebook is on the cusp — and I suspect 2016 will be the year this becomes clear — of replacing television advertising as the place where American elections are fought and won,” Smith wrote. But elections are already being fought and won on Facebook, and we’ve had definitive proof of such going back as far as 2010. In August 2011, Facebook’s official Government and Politics page published a little-noticed case study about a state-wide ballot initiative in Florida, Amendment 8. The amendment essentially wanted to change the state’s constitution so that it allowed larger class sizes in public schools. Like similar initiatives in other states, the issue was falling along party lines. Fiscal-minded conservatives pushed for it because with larger class sizes you needed fewer teachers, and liberals hated it because they felt it would harm the education process and hurt the teacher unions. The pro-amendment side needed 60 percent of the votes to get it passed. The anti-amendment side, a campaign called “Vote NO on 8,” hired Chong & Koster, a D.C. digital advertising firm that ran the online advertising for Al Franken in 2008 and helped with the online advertising for Harry Reid’s close race in 2010. This particular campaign was somewhat unique for the firm, however, because instead of being an add-on service in addition to television and direct mail buys, it was tasked with spending most of the ad budget online, largely on Facebook. There are two kinds of campaigns in American politics: television and non-television, and the overwhelming majority of races are the latter. For one, television ads are just expensive, but they’re also not very efficient in many cases. If you’re running for office in a district of 40,000 people but the media market where you ads are shown reaches a larger geographic area with 100,000 people, then you’re paying to show ads to 60,000 people who can never vote for you. So that makes most races direct mail races, whether it’s city council, city comptroller, school board, or even U.S. Congressman. The firm didn’t even have enough to money to run state-wide online advertising campaigns, so it focused just on Dade and Broward, two of Florida’s most populous counties with a combined population of 4.2 million. Both are also Democratic strongholds. Using Facebook’s targeted advertising tools, which allow you to not only target by geographic location but also age and interests, Chong & Koster ran 7.5 million Facebook ads, 10.5 million animated banners, and 1.7 million pre-roll spots. “With Facebook’s real-time performance reporting, we were able to pinpoint the best message/image for each audience, and move those findings to inform display ad production within a week,” Tyler Davis, a partner at Chong & Koster, said at the time. The agency also used Facebook to target people who liked politically oriented Facebook Pages or who listed relevant Likes & Interests or Education & Work. For example, it targeted people who listed terms like “teacher,” “pta” “math teacher” to reach educators. Because both the polling and Facebook research indicated that the issue carries special resonance with parents of school children, it even included interests like “I love my son” and “I love my daughter” (and layered them with demographic targeting). The ballot initiative ended up being defeated, but that doesn’t mean, in and of itself, that Chong & Koster’s Facebook advertising was the reason. And it was important to figure out whether it was responsible, because Republicans were pushing similar ballot measures in states all across the U.S., so the backers of Vote NO on 8 needed to know whether Facebook advertising was an efficient use of their money. The polling firms used two call centers with live callers to poll Floridians on measurements like their amount of Web use, their party affiliation, their ability to recall specific messaging around the campaign, and how they voted on the amendment. What the polling firms found out was astonishing. Everyone assumed this was a party line vote, and it was just a matter of finding Democratic voters, educating them on the issue, and getting them to the polls. But what the polling firms found was that heavy Web users who were on Facebook were 10 points more likely to vote no on 8 than Democrats (who may or may not have seen the ads) were. “The people who self identify as Democrats who should have voted our way were 10 percent less likely to vote for it than people who were heavy web users on Facebook,” said Koster. “And people who were heavy web users on Facebook, including Republicans and independents, outperformed Democrats on a Democratic issue because of the online ads.” Not only that, but heavy Web users were often able to repeat back the messaging slogans they’d seen verbatim. Though this amazing feat wasn’t reported on much in the mainstream press (or at all, as far as I could tell with a Google search), the firm won “Best Use of New Technology” Gold at the 2011 Pollie Awards, a prestigious accolade within the political advertising industry. And that was in 2010. So yes, Facebook is a gargantuan force in U.S. politics, even if many campaigns haven’t caught on to its importance. Political candidates consistently talk about reaching across party lines with little to show for it. Chong & Koster didn’t just use Facebook ads to reach across party lines, it obliterated them. Simon Owens is a technology and media journalist living in Washington, D.C. He's a former associate editor for PBS’ MediaShift and assistant managing editor at US News & World Report. His bylines have also appeared in the Atlantic, New York Magazine, Scientific American, Forbes, and others.